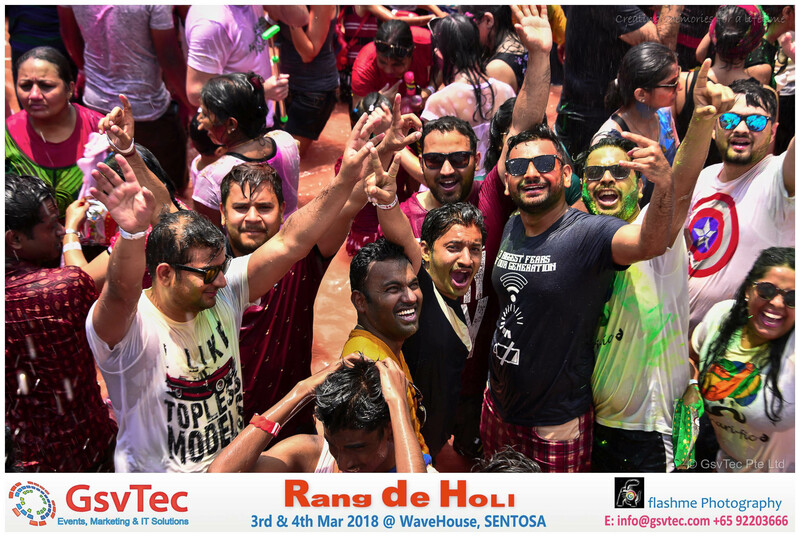 Holi as per Hindu Tradition a spring festival, celebrated predominantly in India, also known as the festival of colours or the festival of love. 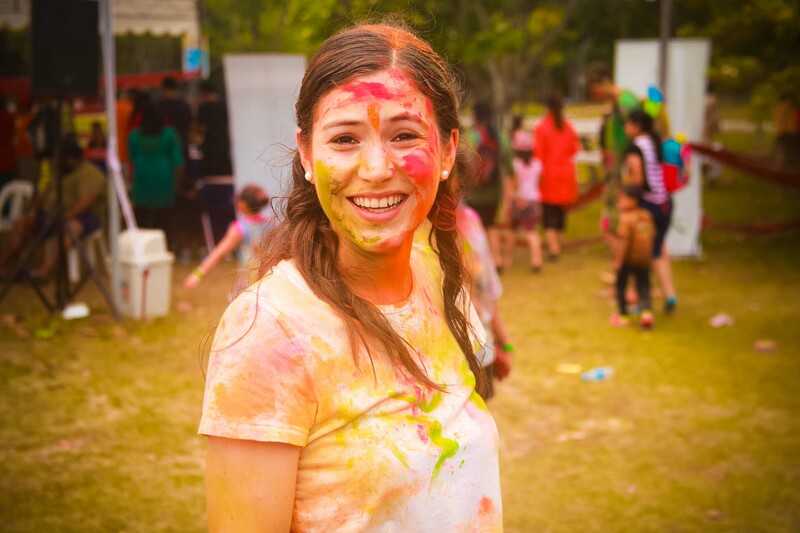 The festival signifies the victory of good over evil, the arrival of spring, end of winter, and for many a festive day to meet others, play and laugh, forget and forgive, and repair broken relationships. It is also celebrated as a thanksgiving for a good harvest. 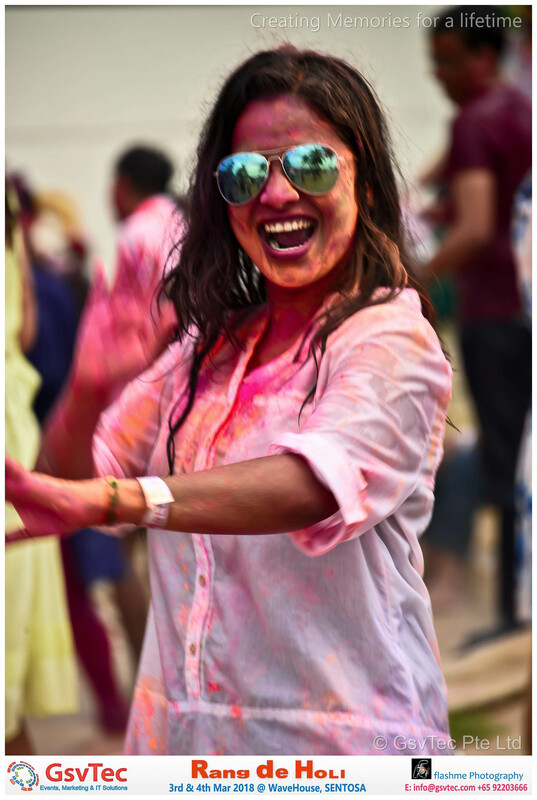 Holi celebrations start on the night before Holi with a Holika Dahan where people gather, perform religious rituals in front of the bonfire, and pray that their internal evil be destroyed the way Holika, the sister of the demon king Hiranyakashipu, was killed in the fire. 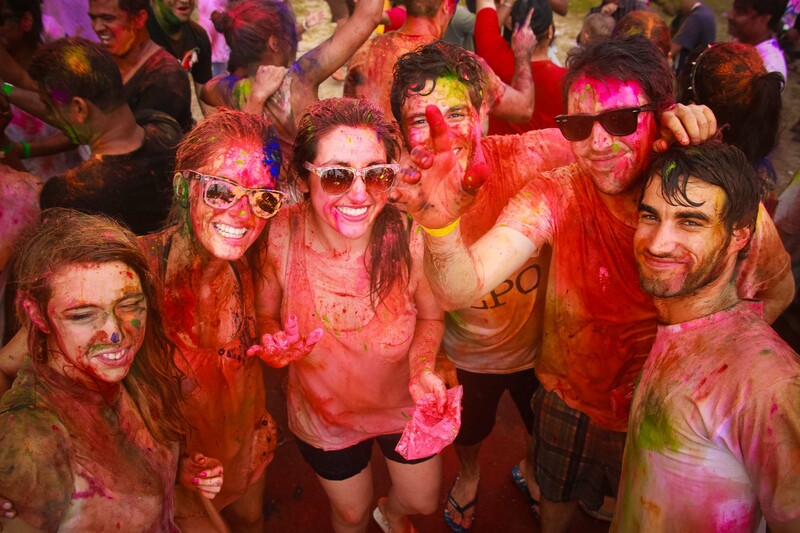 The next morning is celebrated as Rangwali Holi – a free-for-all festival of colours, where people smear each other with colours and drench each other. 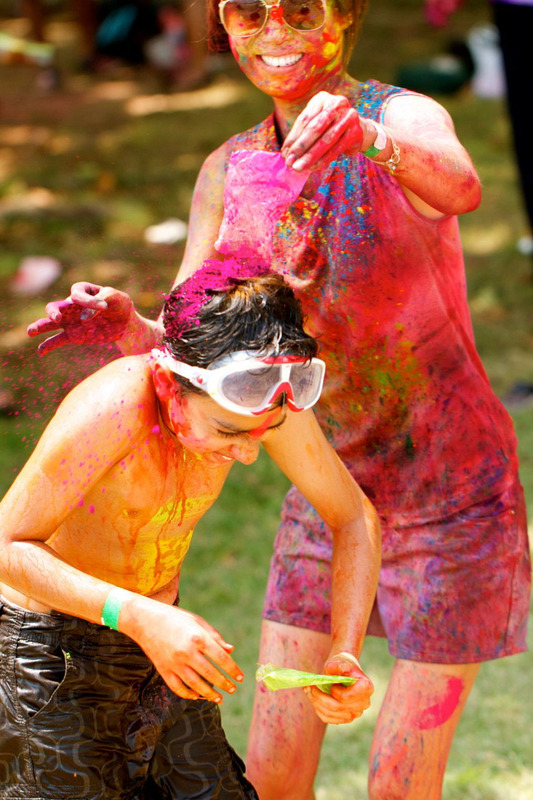 Water guns and water-filled balloons are also used to play and colour each other. Anyone and everyone is fair game, friend or stranger, rich or poor, man or woman, children and elders. 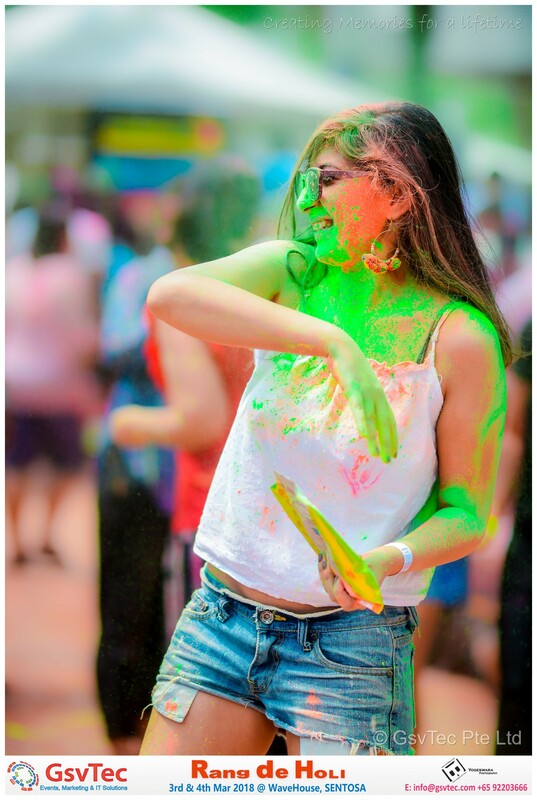 The frolic and fight with colours occurs in the open streets, open parks, outside temples and buildings. Groups carry drums and other musical instruments, go from place to place, sing and dance. 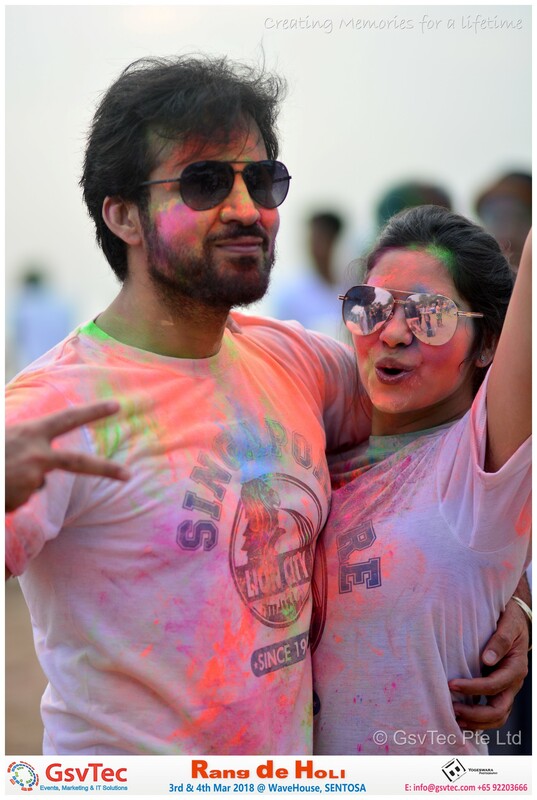 People visit family, friends and foes to throw coloured powders on each other, laugh and gossip, then share Holi delicacies, food and drinks.In the evening, after sobering up, people dress up and visit friends and family. 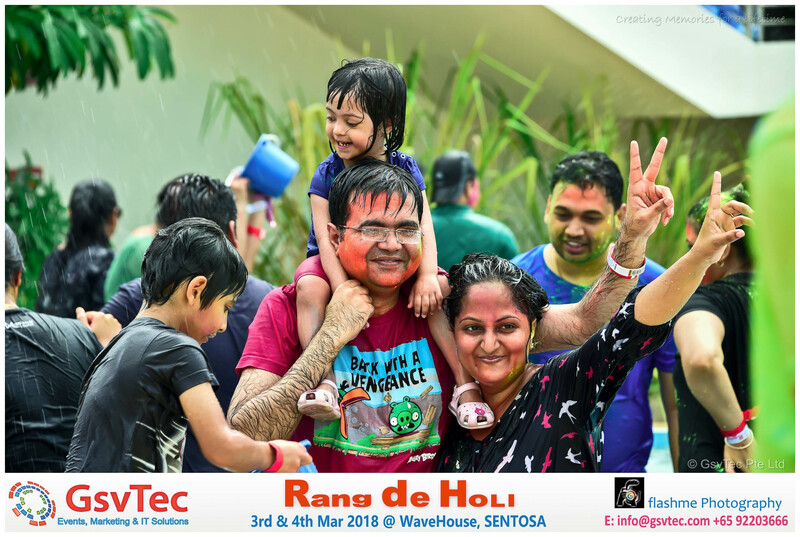 Whats in Rang de holi & Why are we organizing it ? 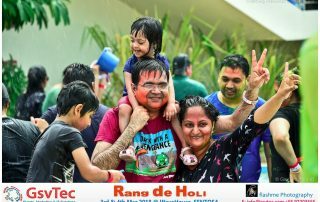 1) The spirit of Holi is colour – rich and vibrant, flung into the air and smeared with laughter on friends and loved ones. 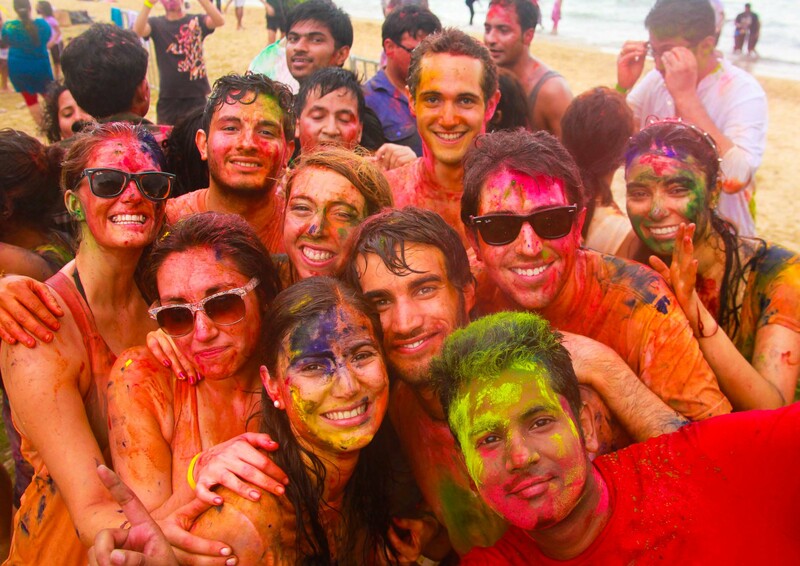 We have a large Indian population here that misses the tradition of celebrating Holi. 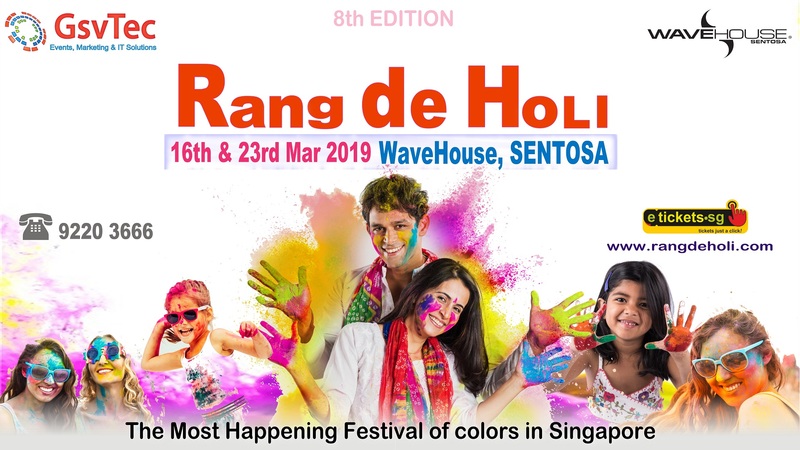 2) Rang de holi Is celebrated by locals & Expats based out of Singapore and neighboring countries few tourist also join our event every year in General its a entertainment event for everyone who embraces the festivity and culture for a cultural and enjoyable experience while upholding tradition. 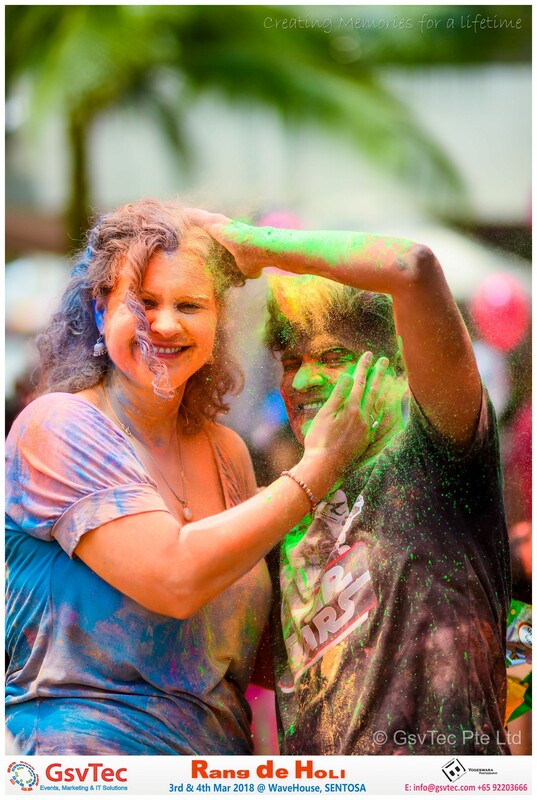 3) a multiracial Cultural Event organized by GsvTec, a event that connects people of all ages and races. 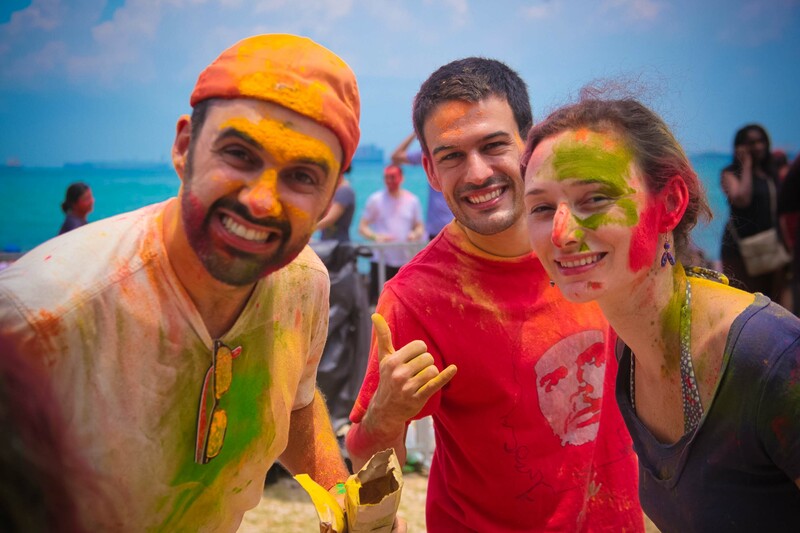 Also Rang De Holi offers a unique opportunity to celebrate and explore India’s diverse culture and traditions. 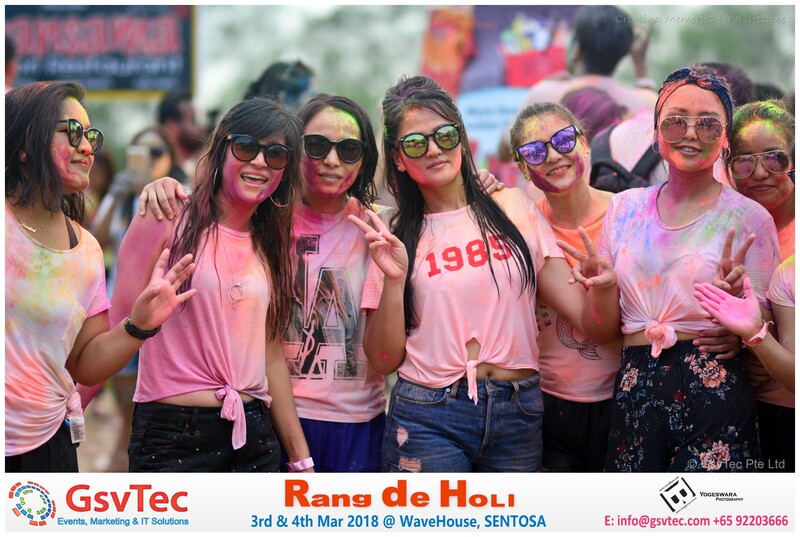 Come and explore this cultural and traditional journey of Holi. 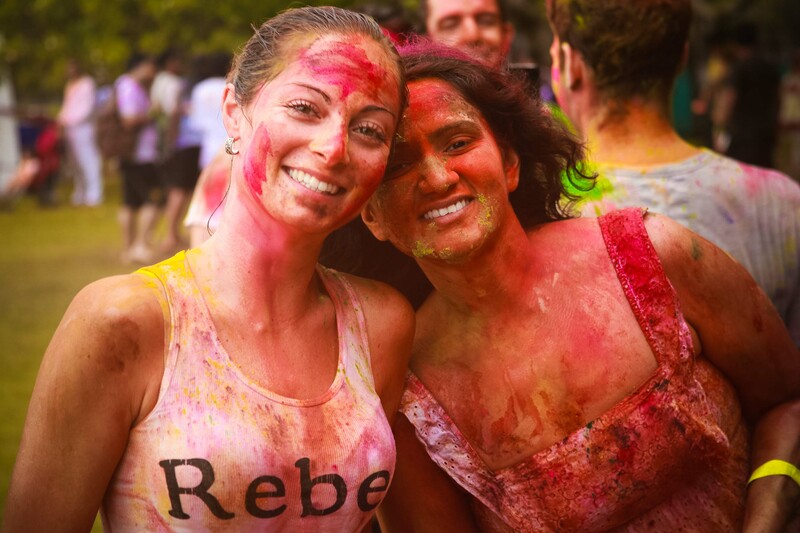 Colours of Holi denote energy – the vivid, passionate pulse of life. 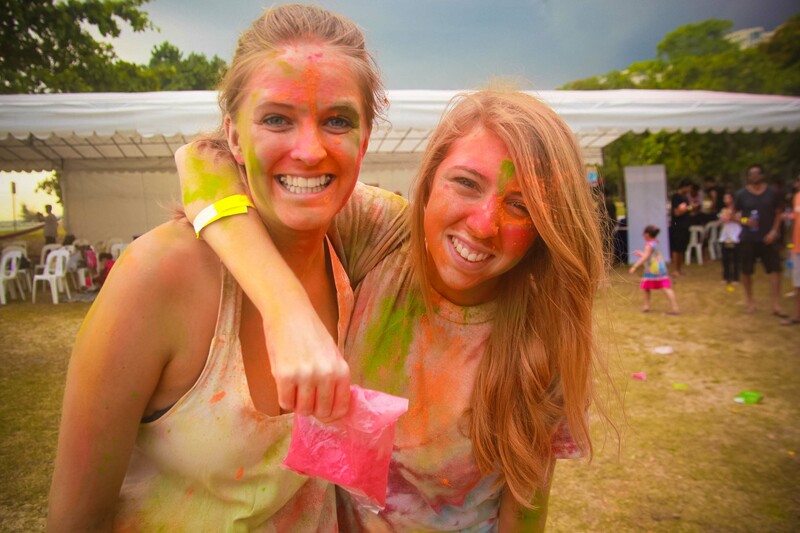 The event is open to all nationalities and races! 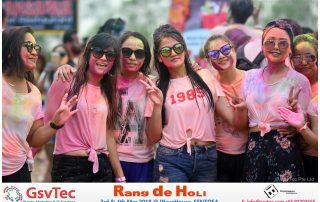 dance performance by various age groups thus promoting upcoming talent and showcasing our rich culture. food from different parts of India. A gastronomic journey through the various regions of India.